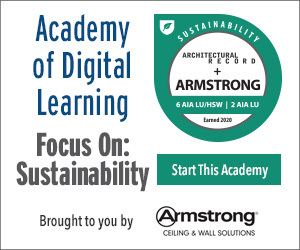 Demonstrate why prefabrication is an efficient and sustainable building practice. Evaluate the use of wood components in sustainable prefabricated buildings as well as design and engineering challenges that wood can solve. Discuss the advantages of building with prefabricated wood components in terms of speed and efficiency of construction, design flexibility, waste reduction, environmental performance, and improved life safety. Analyze, through case studies, the different stages of wood building prefabrication from design to installation. 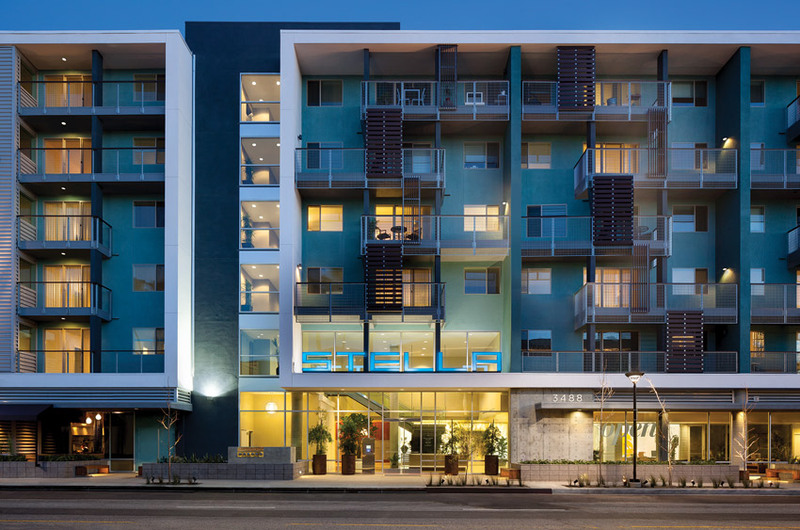 Prefabricated wood buildings should be considered when designing and building both multifamily and commercial buildings, such as multifamily housing, education, retail, health-care, and institutional buildings, as prefabrication is an efficient and sustainable building practice. Prefabricated wood components used in both light wood-frame and mass timber construction can help to solve many design and engineering challenges, such as material and process efficiency, environmental performance, and life safety. The practice of prefabricating building elements in a factory was adopted in the United States only in the past century. Prior to that, most buildings were constructed on-site. There was a boom in kit-of-parts building post World War II. Consumers were enthralled with industrial production and replication, aka mass production, and prefabricated buildings helped fulfill the need for affordable, quality housing post war. Although mass production has remained vital to our economy and almost all industries, interest in prefabricated buildings fell off in the 1970s. The design and construction industry did not fully embrace the concept because it wasn’t well integrated into its traditional business model. The building industry is now embracing digital tools such as 3D modeling, building information modeling (BIM), and computer numeric control (CNC) machines, making prefabrication and communication amongst building professionals easier. As James Timberlake, FAIA, says in the foreword of Ryan Smith’s book Prefab Architecture: A Guide to Modular Design and Construction, “We are now capable of sending a fully visualized and virtually formed model to a production line, bypassing the document interpretation phase, with all of its back-and-forth checking, redrawing, and margin for additional errors and omissions, ultimately improving the quality of the final product.” Also, improved safety measures and greater productivity are now high priorities, which prefabrication can help achieve. The off-site construction environment is a way to provide workers with safer working conditions to reduce the risks of accidents and related liabilities. Off-site manufacture is the manufacture of construction components or systems in a factory environment to be transported and assembled on-site. Prefabrication can cover off-site prefabrication of materials and parts, prefabrication of components and subassemblies, as well as volumetric units or modules. Modularization of construction is a way to reduce complexity but still offer customized solutions. 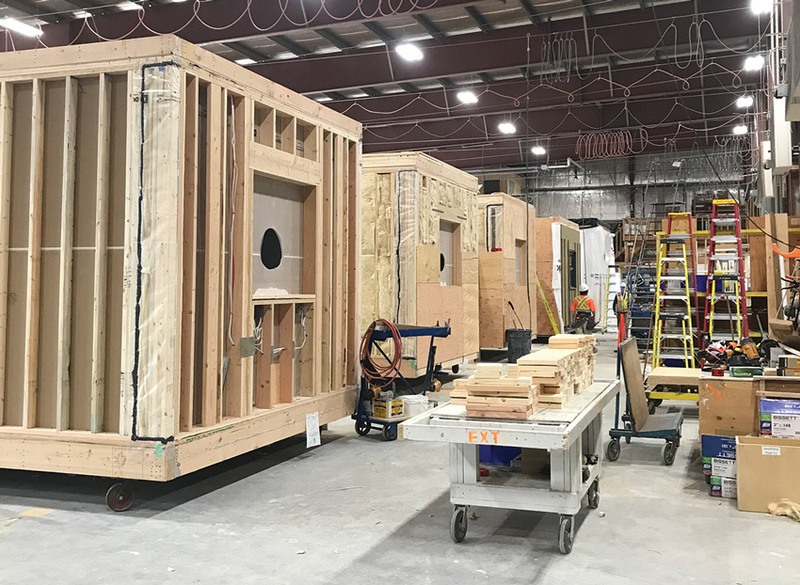 The Modular Building Institute defines modular construction as an off-site process performed in a factory setting, yielding three-dimensional modules that are transported and assembled at the building’s final location. The building industry is now embracing digital tools such as 3D modeling, building information modeling, and computer numeric control machines, making prefabrication and communication amongst building professionals easier. Wood prefabrication has a multitude of benefits, including process efficiency, a controlled environment, a greater return on investment, material efficiency, reduced waste both on- and off-site, and sustainability. Wood prefabrication has a multitude of benefits, including process efficiency, a controlled environment, a greater return on investment, material efficiency, reduced waste both on- and off-site, and sustainability. All of these benefits help to meet demands from owners, designers, and tenants for better buildings. Process efficiency is possible at every stage, from design to fabrication to construction. Detailed planning allows construction processes to be standardized and streamlined, including construction efficiency that meets aggressive schedules and decreases on-site assembly time. Sequencing is improved, as prefabricated components are sorted and loaded onto trucks, minimizing on-site handling. The process is also more integrated with better communication amongst parties, which reduces costly change orders. Because prefabricated components are produced in a controlled environment, quality and precision of components improve, fabrication productivity increases, safety for tradespeople improves, and weather is not a factor in slowing down the construction process. Budgets should be easier to meet because redundancies and waste in both materials and time are streamlined. Although building components are often more expensive up front, the complete installed cost is usually less because on-site construction is minimized. Material efficiency results because prefabricated components are made off-site and typically via modeling technologies that provide extreme precision. Reduced waste both on- and off-site minimizes the environmental impact of a project, as specific sizes and dimensions of components are determined in advance and components are made or cut to tight specifications. 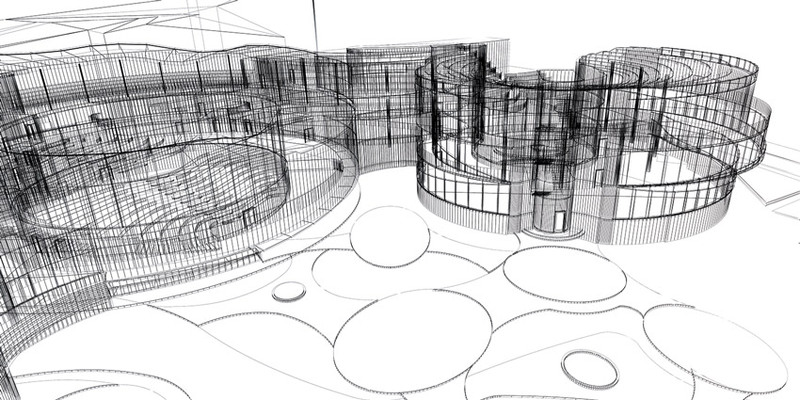 This also relates to the sustainable nature of prefabrication. We will review several case studies that demonstrate these benefits, including an extensive case study to conclude the course that details the process of erecting a prefabricated building from design to construction.